Though he was born in Massachusetts, Danny Raymond has lived in Texas since the age of 9 and is a graduate of Conroe High School. 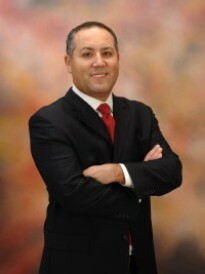 Danny entered the family business shortly after high school and spent many years working in finance. He acquired a vast knowledge in new and used car sales, banking and financial institutions, marketing, and general business administration. Once Danny had attained success in his former profession, he decided he was ready to take on a new challenge and pursued insurance. His career in the insurance industry began with a captive agency in 2012. Once established in the insurance business, Danny discovered that Goosehead Insurance provided a better business model and more options for his prospective clients. Danny is excited about serving his clients in such a way that lends itself to optimum results and customer satisfaction. When he’s not working, Danny enjoys golfing, going to the movies, and spending time with his family.